Last Sunday Poetry, or, Ekphrasis Once More? Well sort of, yes. Ekphrasis II (see not so far below, May 28 et al.) a week ago Saturday having been missed by some due to competing events, I took advantage of the final before-summer-break edition of Last Sunday Poetry’s open mike session to read a truncated version of my previous presentation at The Venue. Hosted by the Bloomington Writers Guild, this month’s outing featured two Indiana University poets: MFA Poetry candidate Daniel Minty, using dark themes in several poems including “Skunk Cabbage,” an invented folk monster, and a historical look at ice-cutting and danger on Boston’s Charles River; and faculty member Cecil Sayre exploring, among other topics, the purpose of poetry itself. Then when my turn came I read two of the three “warm-up” poems from The Venue, “Night Child” with its performing arts references to music and dance and “Émile’s Ghosts” with its ambience of times past and possible regret, followed by “Animal Eyes,” my paean to Paris’s Grand Guignol (cf. May 26). As noted, this was the last “Last Sunday” reading until August when the Writers Guild will return from summer hiatus to a full program of events for fall. “What is your take on a dystopian world? Is it a police state? Do people live in fear of an outside force? 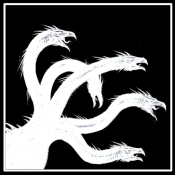 Or is it an inner source they are scared or?” Such was the call last autumn by Hydra Publications and, today, Editor Frank Hall answered with an acceptance of a reprint story from me, “Invisible People,” for the upcoming anthology DYSTOPIAN HYDRA. 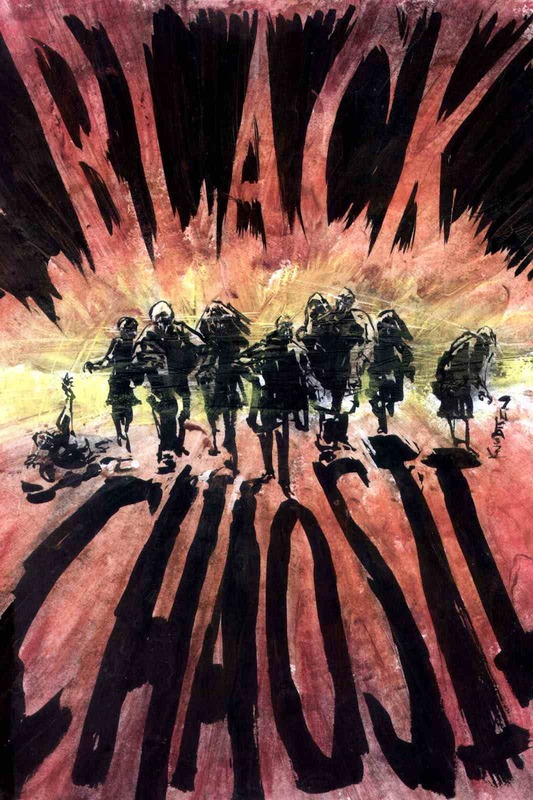 “Invisible People” was first published in the Winter 1992-93 edition of DARK INFINITY, and has also been noted in these pages as appearing in WE WALK INVISIBLE (Chupa Cabra House, 2013; cf. February 9 2014, et al.). It is the tale of a man who . . . we ll . . . becomes invisible. So, you know, like panhandlers and homeless people, etc., become so ignored they end up kind of invisible too, but in a society that really encourages it — that is, even more than we do now. And so, what happens when an ordinarily law-abiding worker-bee type suddenly loses his job? Saturday’s Poetry/Art presentation at the Venue (cf. May 26, 23) has been reviewed, and may be seen by those who desire by pressing here. It’s an “art-centric” review though, if one will, the concentration being on the four paintings and one drawing commented on by the poets, and much, much less on the poetry. Indeed the poets aren’t even named, with one exception, that being . . . moi. And even that a bit indirectly as the reviewer gives a personal reaction to the artwork, the drawing of masks, along with the artist’s explanation, then glosses my poem rather swiftly and vaguely, but adds a photo of “Animal Eyes” along with the drawing “Hangers On” (copies of the poems had been made for the exhibition, posted below or next to the paintings they illustrated) and, thus, bylines me as that artifact’s “artist.” But one added irony, nowhere on the blog that features the review does the reviewer give his/her name either, so one must conclude that with the sole (and perhaps accidental) exception of me, those of us working with the written word are but part of the background. It’s been a long time coming all around, but late Tuesday afternoon White Cat Publications’s steampunk anthology AIRSHIPS & AUTOMATONS (see April 7, March 31, et al.) landed on my front porch, via FedEx, completing a voyage lasting nearly two and three-quarter years. As was reported here at the start of this year (cf. January 3) , after a September 4 2012 acceptance of a story by me and adding that mine would be last in the contents of stories to be set in chronological order, “. . . then it disappeared. 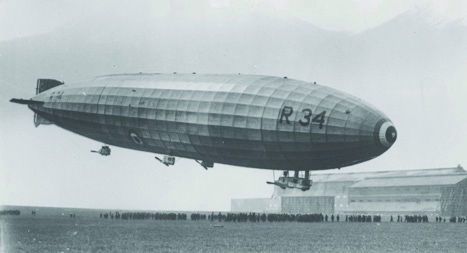 As an airship drifting behind a cloud, the anthology . . . was gone! “Two long years passed, even rumors fading away like wisps of mist before an autumn dawn. . . .
And then, more waiting, but not so much this time. The Kindle copy was published first, but a bit of minor last minute editing was required before it went to print. Then it was at the printers. Then up on Amazon, where it can be found by pressing here. . . .
And now in my hands! A delightful volume of “[t]ales from a world that should have been. . . Fifteen stories spanning the ages from ancient Greece to a far-flung dying future” — from “A Courtly Diversion” by Gary Cuba to my own offering, “Raising the Dead,” one in my series of tales set in the “Tombs,“ a vast necropolis and its environs in the latter days of a ghoul-ridden, dying Earth. From just a brief dipping in thus far, it has been worth the wait. My zom in this zoo is called “Cold, Lifeless Fingers,” originally published in GC MAGAZINE for Halloween, October 1999 (cf. April 21, 10, et al. ), of a zombie hailing from Port-au-Prince, but finding itself in a gated community in the US and, possibly, taking a yard sign it sees more literally than had been intended. For more information, one may press here. Then, on Facebook, we have a wrap-up of last Saturday’s THE ART OF POETRY / THE POETRY OF ART II, a presentation of poetry inspired by paintings at the local gallery, the Venue (see May 23; also for the previous week May 17). My poem is titled “Animal Eyes” and is based on a piece by Ray Perigo depicting two theatrical masks called “Hangers On,” picking up on the theatrical theme in a nostalgic tip of the hat to Paris’s le Grand Guignol (1897-1962). The poem itself appears below while “Hangers On” may be seen by pressing here (look for the picture of the two masks in the second row, far left). Or for a more general look at the event, check the Venue’s wall by pressing here. leaving streaks of burned gore. packed into a less than 300-seat room. but, beneath, what thoughts hoarding? Oops. It took a while for me to notice, but it seems there was an error in my May 11 post, “A Continuing View of World Horror Convention 2015.” In it I stated, of the Thursday night poetry reading, that my opening was with “what I introduced as a sports poem, ‘Godzilla vs. King Kong’ (‘It came to this, finally,/ the fight of all fights/ Godzilla against the King. . .’). And who was the winner? Well, fortunately there’ll be a chance to find out as the poem has been accepted by British ezine GRIEVOUS ANGEL (cf. 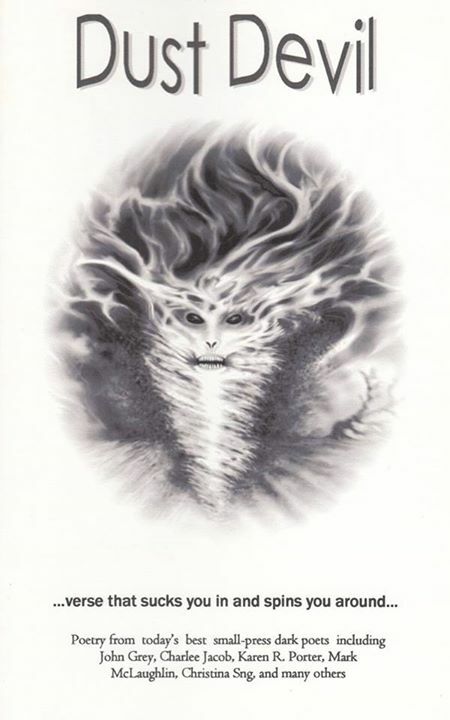 March 30 — GRIEVOUS ANGEL was also publisher, last year, of my Rhysling-nominated ‘Beware of the Dog,’ see September 11 2014).” However a check of my records reveals that it is not “Godzilla vs. King Kong” that has been accepted by GRIEVOUS ANGEL, but a related poem, “On the Other Hand,” having to do with the King’s tragic love affair with Ann Darrow (a.k.a. Fay Wray). In fact, “Godzilla vs. King Kong” is currently being looked at by another publication, but it is not known whether or not it will be accepted and, whatever the result, it is likely to be a bit longer before the results of the fight will be known. That is, at least by those who were not at the reading. It is correct that “Godzilla vs. King Kong” was the poem I read. “The Venue held its first Ekphrasis, defined as a written poem inspired by a work of art. 5 local poets were invited to choose one painting from a selection of paintings submitted by 5 artists to write an ekphrastic poem. Each poet explained what about the painting inspired them, followed by the artist’s explanation of inspiration. Round two with 5 fresh paintings and poets will be held this Saturday, May 23rd at 6pm. Join us!” Thus the reading/showing last Saturday (as posted here the next day, cf. May 17) from local gallery The Venue’s report on Facebook. So this evening the second part came about, though missing one poet who was unable to appear. Those of us here, in the order of reading, were Eric Rensberger, me, Tom Hastings, and Timothy Reed, on hand with the artists who followed each poet with their own story of how the art came about. An interesting part was that the readings varied not just in the poems themselves but in style of reading, more so than they had last week (though poet and Writers Guild founding member Patsy Rahn did involve the audience then with a sort of background, building song-chant as her poem progressed), with Eric and me giving fairly straight up readings (in both cases reading three “warm up” poems before the explanation and fourth, “inspired” poem, I adding a little more about how all four of mine related to one another and to the art); Tom adding a bit of drama, including chanting in the introduction to his; and Timothy miming to the drama of his reading, adding a second poem afterwards that included both reading and singing. *For a bit of background on which, see December 9 2014. The poem’s title, “Animal Eyes,” comes from the factoid that actual animal eyes were used for simulated eye-gougings because they could be counted on to bounce realistically on the stage. One of two books I’ve been waiting for arrived today, my authors copy of MONK PUNK & THE SHADOW OF THE UNKNOWN OMNIBUS (see May 10, January 6, et al.) from Hazardous Press! Now can White Cat’s AIRSHIPS & AUTOMATONS be far behind? MONK PUNK . . . 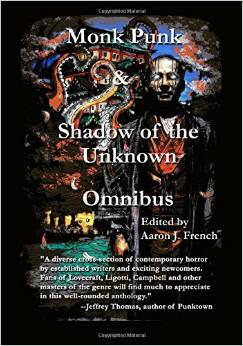 OMNIBUS is a combined edition of the two separately titled anthologies with a few extra tales added in for good luck. And more to the point, including my story (from the original THE SHADOW OF THE UNKNOWN, cf August 21 2011 et al.) “The Festering,” a Lovecraftian saga of love gone wrong, and toilets. Or, you never know exactly how deep an older neighborhood’s sewer system may reach. Well, that aside, it is a big book too, weighing in in the 500 page or more class. More information can be found on Amazon by pressing here. Two little oddities, the first with a touch of mystery as well. The first an email Monday to the effect that someone had tagged me on Facebook so, as is my wont, I plunked the magic twanger and went there to find out. Lo, it was a book cover photo from Lee Zumpe for something called DUST DEVIL which contained two poems that he’d written, but also apparently something from me too. The trouble is, I did not remember a book or magazine called DUST DEVIL. Could this be something I’d submitted to under some other title, that changed it to DUST DEVIL before it published? Such things sometimes happen. But then wouldn’t it have said something like that in its acceptance letter? And I did not remember an acceptance letter, not to mention receiving a copy of the book myself. And then for the new, this today from Sean Taylor, is actually an extended blurb from Editor L. Andrew Cooper of REEL DARK (cf May 10, 4, et al. ), but it mentions my name — and anyway it has more information than I’ve given below, as well its own link to Amazon. I’ve read most of the first part (of three) of the book myself by now and, if I may say so, I think it’s a good one, especially if you enjoy getting some of your horror at the movies. So, if so, check here. Yes, summer is here, as marked by the annual return of one of the local deer herd, collectively known as “Bambi’s Mom,” to the salad bar that is my front yard. One notes this is a mere week after Mother’s Day. Nevertheless, as the spotting was made this morning when I had had plans to use my front walk to carry the recycling down to the curb, it did pose a potential problem — the bucolic beasts have been known to kill pets locally* and they do have sharp, powerful hooves. In this case, though, loudly shaking the bin of cans and bottles was enough to drive B. M. to the neighbor’s yard. But what a coincidence! Only Friday, courtesy of TOR.COM, what should I run across but an article by Mari Ness, “The Disney Read-Watch: Felix Salten’s Bambi: A Life in the Woods,” on the book that the iconic Disney movie was based on** — and which one may read for one’s-self right here. Not to mention that Bambi’s Mom also inspired the above short poem (a close variant, admittedly, on a poem I wrote on a similar occasion about two years back, cf. April 14 2013). Another, less animalistic start to the summer season occurred Saturday evening with local art gallery The Venue presenting THE ART OF POETRY / THE POETRY OF ART. This was the result of an invitation to ten local poets to choose one of a group of paintings by local artists to use to inspire a poem. Thus the poem would be read, with perhaps some others, and with an explanation of how it fit the painting, followed by the artist’s explanation of his or her inspiration for the work. So yesterday brought a first group of five, the second group of which will be next week, for an interesting and pleasant two hours. Then next Saturday will bring the second group, of which (ahem) I will be a member, more on which next week. *Not the cave cat Wednesday, however, who due in part to a heavily trafficked road in front of the house is strictly an indoor cat. **Not only that, in a second, and delightfully cynically tongue-in-cheek piece, Ness takes on Pinocchio, which can be read by pressing here.